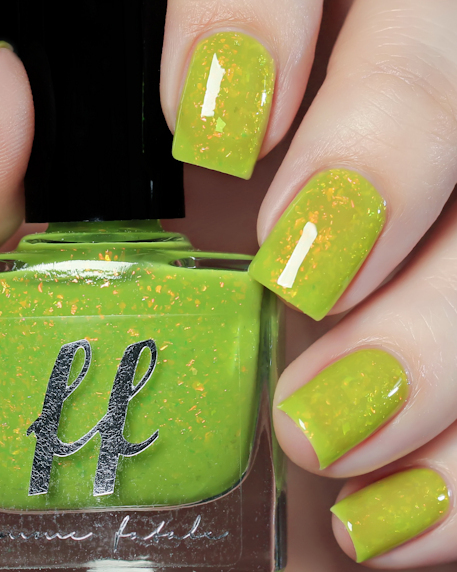 The Beautiful Ones: A vibrant, juicy lime green packed with red iridescent flakes. This one is a crelly base but leans more towards jelly so you may have VNL. Please note this shade does contain a smidge of fluro yellow pigment and while we’re not aware of it ever fading, the possibility is always there with neons. If you are not comfortable with that please purchase one of our other lovely shades instead :) Thank you for your understanding.